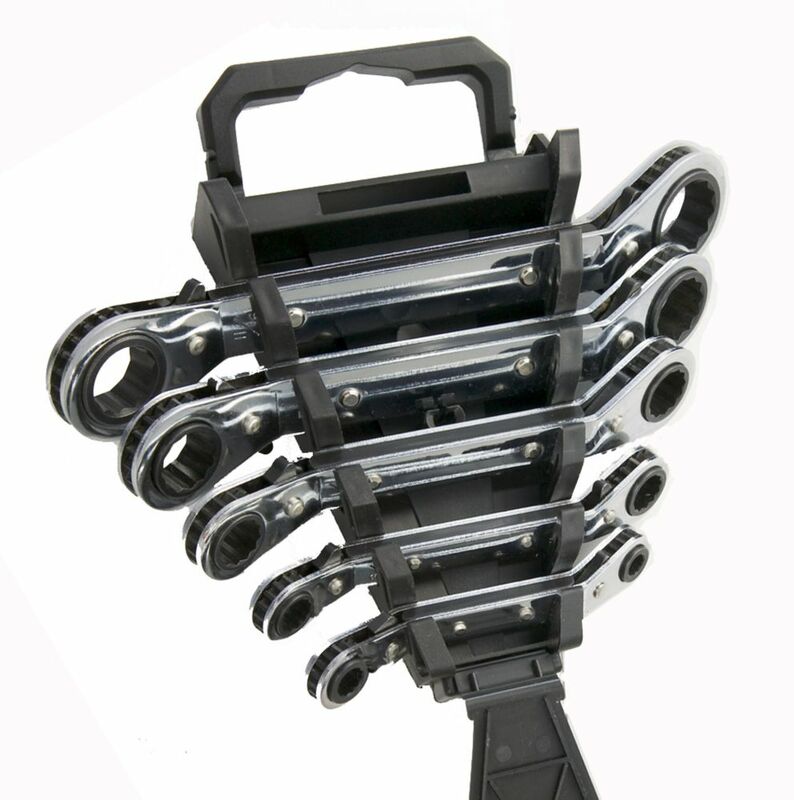 Offset Racheting SAE Box Wrench Set (5-Piece) This offset ratcheting box wrench set makes short work of any repair job or renovation project, whether in the bathroom, basement, garage or even up at the cottage. The chrome-vanadium steel is engineered to withstand years of rugged use, while the chrome plate makes these tools rust-resistant and easy to clean. With an angled head for better clearance and a smooth two-way ratcheting mechanism, this 5-piece offset box wrench set is one you'll rely upon again and again.